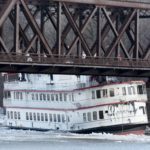 On January 25, seven vessels broke free from their moorings on the Hudson River near Albany, New York. 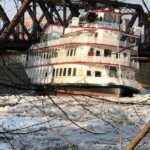 Five barges, one tugboat and the 140 foot long passenger ship Captain JP III broke free after rains and warming weather caused the water level on the river to rise and released several ice jams. 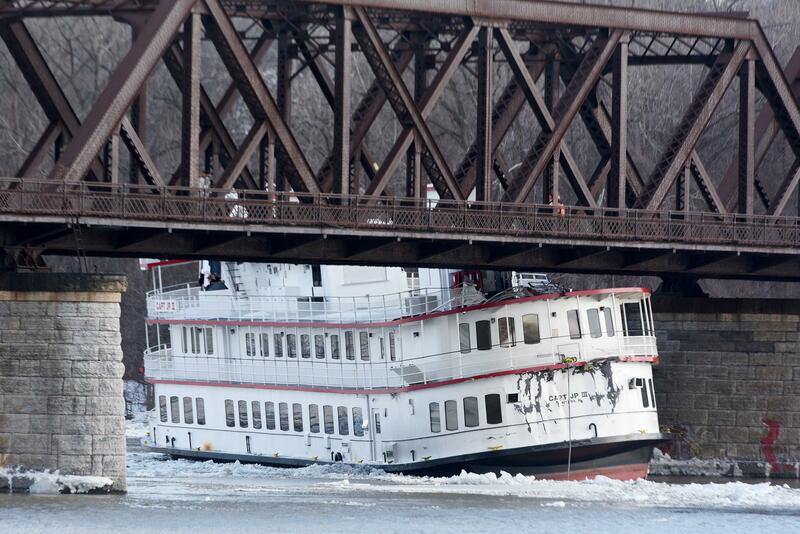 Pulled downstream, the Captain JP III drifted until it struck the railroad bridge. 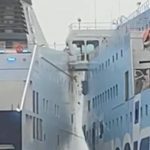 The passenger ship was too tall to pass under the bridge and became wedged under the span. 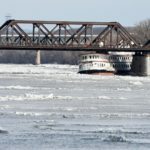 Many of the other vessels were able to pass under the bridge without mishap, but several did strike the bridge. 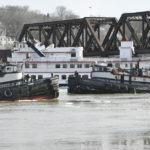 Multiple tugs were dispatched and were able to free the Captain JP III and recover the other unmanned tugboats and barges. No reports of injuries. 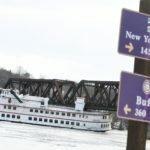 Authorities report the bridge did sustain some minor damage, but the bridge should remain in operation. The Captain JP III sustained significant hull damage to its stern. 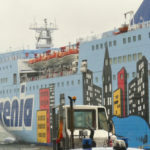 The 204 meter long, 6515 dwt ro-ro passenger ferry Cruise Olbia allided with the 214 meter long, 4700 dwt ro-ro passenger ferry Athara in the port of Olbia, Sardinia, Italy. 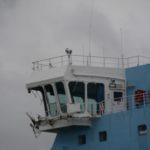 The Cruise Olbia was being assisted out of the port by tugs when a strong wind gust caused the ferry to strike the port side wing of the bridge of the Athara. 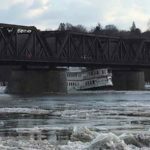 Both vessels sustained minor damage and there were no injuries. The Cruise Olbia was able to proceed on its schedule voyage. 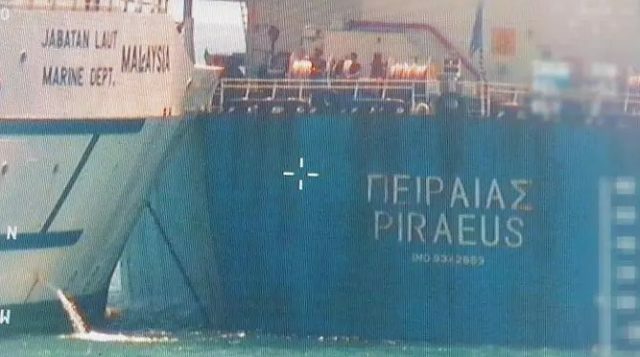 The Athara made temporary repairs and was able to leave port later that night. 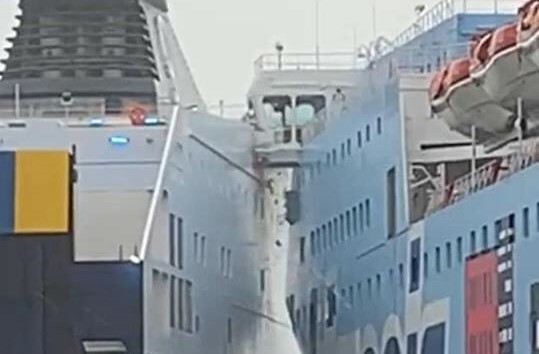 Reports state both vessels were inspected by local authorities before leaving port.